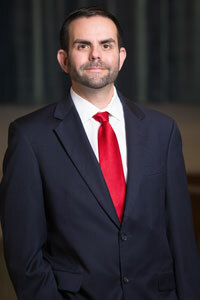 Aaron M. Chaskelson, Esq. - OUR GOAL IS TO GET YOUR CASE DISMISSED! Schedule Your Free Consultation Now! Schedule Your Free Consultation Now! Paying a ticket can cause points against your Driver’s License, possibly increase your insurance rates and even result in a suspended license. Calling me and fighting a ticket could result in total dismissal, no points or no traffic school. Legal fees are affordable, as I will match any advertised price. Fines and court costs are additional, if any. Being investigated by the police? If you are being investigated or facing criminal charges, you should consult with an attorney immediately. DO NOT speak with law enforcement without speaking to an attorney first. Protect your constitutional rights, and your freedom. Mr. Chaskelson was admitted to the Florida Bar in April, 2001. Since then, Mr. Chaskelson has concentrated his legal efforts on Criminal Law and those charged with traffic violations for virtually his entire career. Mr. Chaskelson has Conducted hundreds of Formal Review Hearings for those charged with the offense of DUI. * Applies to non-criminal, civil infractions. DOES NOT apply to speeding tickets more than 30mph over the speed limit.